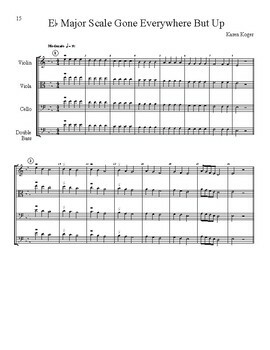 String Riffs One Octave Major Scale Studies thru 4 Sharps and 4 Flats Plus C for Strings is a Series of One Octave Scale Studies useful to orchestras (vln, vla, clo, bss), individuals or studios. 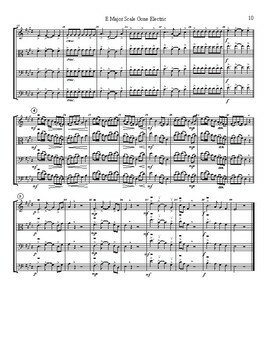 Introduce Major Scales thru 4 Sharps and 4 Flats Plus C, Sight Read, or use One Octave Major Scale Studies thru 4 Sharps and 4 Flats Plus C for Strings as your daily warm-ups. 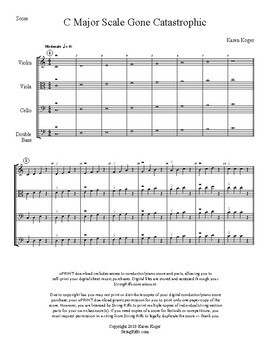 Each String Riffs One Octave Scale Study explores rhythm, style, bowing, and the basic scale. Each scale is different to encourage music reading and counting. 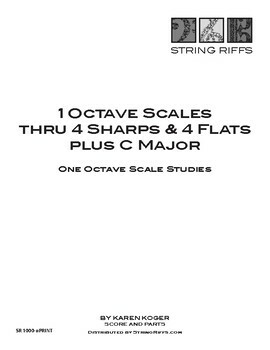 String Riffs One Octave Scale Studies are also available individually.